On Tuesday I talked about how we could Rethink the Standings in a visual way. And you guys responded with helpful reasons. For the most part, I agreed with what you said, and sought out to fix it and make it better. I always go straight for my division and my team, and see how many games behind they are. 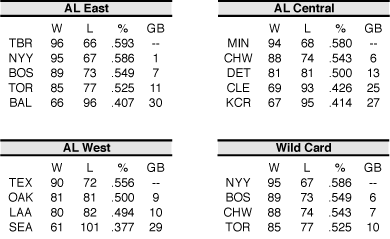 I then look longingly at the Wild Card standings to get an idea of how far behind they are. But most of the information gets completely ignored as I eat my breakfast. I’m guessing that millions of people across the country are doing the same. Chris Spurlock over at Beyond the Box Score made a noble attempt to animate a division race here. But a few things didn’t sit well with me. First of all, it was out of context — you can see how your team is doing in comparison to the division leader, but not in relation to the rest of the league. I drew the line wrong though. I should have started it in 1993, with the introduction of two new teams: the Colorado Rockies and the Florida Marlins, and the huge boost in runs scored per game. Instead, I set it to 1995 because I had noted the wrong date for the two expansion franchises. They were joined by the Tampa Bay Rays and the Arizona Diamondbacks in 1998. For the most part, it doesn’t change much, but as I’ve learned doing this series, you guys catch everything, so it’s better to be up-front about it. By strong request of Big Jgke I have updated the images to include these players. The pitching mound had been lowered, the designated hitter added, and baseball was looking like the modern game save for one thing: Free Agency. In the 19th century, players started getting paid more than the average worker. 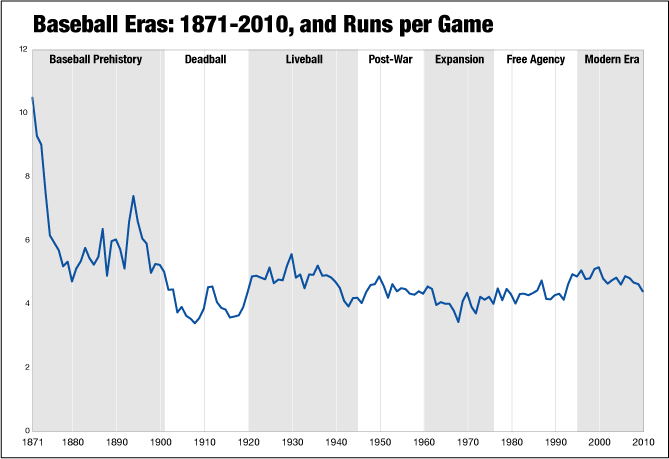 In order to control salaries, baseball created the Reserve Clause in 1879 which said that even if a player’s contract expired, the team that contract was with still retained rights to their services. Players were given one-year contracts, and if they refused to sign, they couldn’t sign with another team. The Federal League was formed in 1914 to compete with the Major Leagues, but only lasted two seasons. 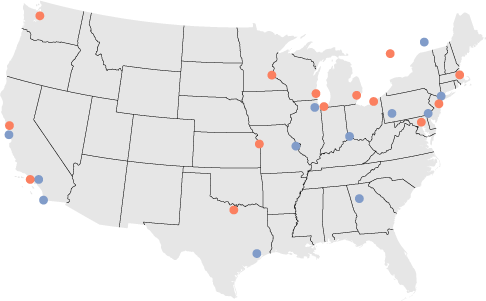 After 1915, the Major Leagues bought out most of the owners of the Federal Leagues, giving them ownership in Major League teams, or other considerations. The owner of one of those teams, the Baltimore Terrapins, refused to be bought out and brought suit against the National League under the Sherman Anti-trust Act. That came to a head in 1922 in Federal Baseball Club vs. National League which created the MLB Anti-Trust exemption. Apparently because baseball was an amusement, it didn’t fall under the same rules for interstate commerce. The Expansion Era saw the Major Leagues grow from 16 teams in 1959 to 24 teams in 1975. The Washington Senators moved to Minnesota in 1960, and MLB decided to expand earlier than planned at risk of losing its anti-trust exemption. The new Washington Senators would become the Texas Rangers in 1972. They were joined by the Los Angeles Angels in the same year. 1962 saw the Houston Colt .45s and the New York Mets join the Majors, followed by the Kansas City Royals, Seattle Pilots (later to become the Milwaukee Brewers), San Diego Padres, and the international addition of the first Canadian Team, the Montreal Expos. I cut off the Expansion Era at 1975, right before Free Agency took hold, but there were two new teams formed in 1977: the Seattle Mariners, and the Toronto Blue Jays. I mentioned in the Liveball Era article that over 500 MLB players served in WWII. Those gaps are a lot more apparent in many of the post-war players. Not only did players miss years (like Ted Williams), but they also had partial seasons due to service in the military. With so many players going off to serve, the quality of the Major Leagues dropped, and scoring dropped as a result. While I’m jumping from the Liveball Era to the Post-War Era, please keep in mind that players on the edges were more likely to be affected by the war. If anyone has a full list of players that served, and the years they served, I would love to add that information to the charts to make the impact more obvious. The Liveball Era players are ones I am much more familiar with. One fifth of the players in the Hall of Fame are from the Liveball era. There should be a good reason for that. The Hall of Fame was originally established in 1936. The first players inducted were people from the Liveball Era. A special committee of experts was created to select the best players on the 19th century for induction, but the whole process was botched. Initially, the voters averaged about 10 players per ballot, but the Hall of Fame folks only wanted to vote in five players. So they counted each vote as half a vote. Last week we covered the position players of the 19th century. Our next stop is the Deadball Era. In 1901, the American League was formed, making it the second major league along with the National League. That is the beginning of the two-league system we still enjoy today. As we know, the game itself has changed over the last century. Originally, foul balls were not counted as strikes. Intrepid batters (like King Kelly) would foul off pitches until they could draw a walk. In 1894, the rules were changed to call fouled-off bunts as strikes. In 1901, all fouls became strikes in the National League, followed by 1903 for the American league. 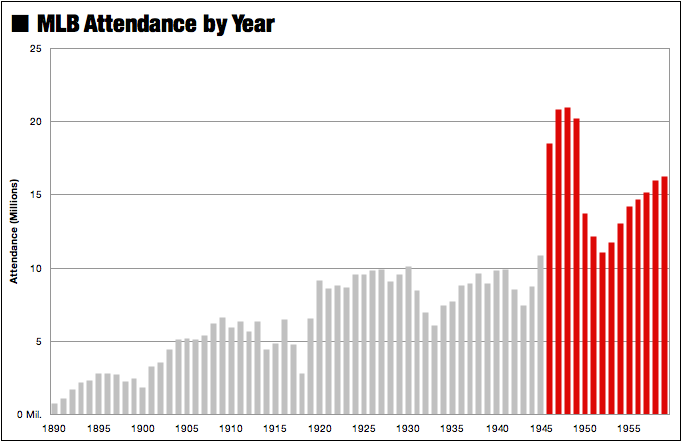 That year would also see the first World Series, held every year (except 1904, and other strike years). We’re pleased to welcome Joshua Maciel to the site, and today marks his first post here as an author. Josh designed the original graphic that eventually turned into WARGraphs, and we look forward to more of his interesting visualizations going forward. Admittedly, I don’t know a lot about players from long ago, save the ones who are famous for one reason or another (I hope I’m not alone). If they weren’t in Ken Burns’ “Baseball” documentary, then I probably don’t know much much about them. Sometimes I’ll see an article like this one by Steve Treder that brings an older player to light. And sometimes, usually around this time of the year, someone will talk about Hall of Fame snubs, like in this article by Adam Darowski about the best players not in the Hall of Fame. But for the most part, I’m willfully ignorant. Looking at all the players in baseball is a daunting task. There are a lot of them. There are a lot of eras. How do you judge people who played back in the 19th century when you are only familiar with the players of more modern eras? Even if I look at the player page for someone like Cupid Childs, what can I really figure out? He is totally removed from context; how can I judge a guy who played so long ago against his peers if I’m not familiar with them? I get lost easily in the numbers. I can look and stare at stats until the cows come home, but not get anywhere because of the lack of context.